RIVERSIDE - For the second straight month, the number of Riverside County homes slipping into some stage of foreclosure fell last month, thanks in part to state legislation intended to encourage communication between lenders and borrowers, a real estate tracking firm reported today. A total 6,897 mortgage default notices, auction sale notices and bank repossessions were recorded in Riverside County in October -- 15 percent less than in September, but 13 percent more than a year ago, according to Irvine-based RealtyTrac, an online publisher of foreclosure market data. Despite the month-to-month dip, the county reverted to having the fourth-highest foreclosure volume in the state, after slipping to fifth in September, figures showed. The three California counties with the greatest concentration of foreclosure activity -- San Joaquin, Yuba and Merced -- are all located in the northern half of the state. California's overall foreclosure activity continued to slow, with 56,954 filings recorded in October -- 18 percent less than in September and 13 percent more than the year before, according to RealtyTrac. California went from No. 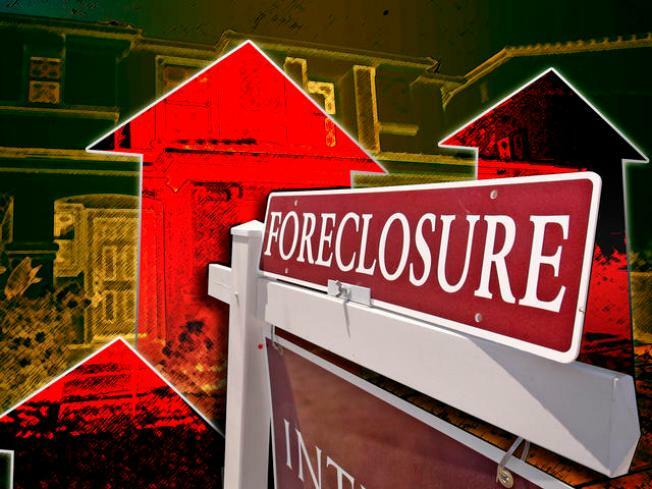 3 in national foreclosure volume to No. 4, behind Nevada, Arizona and Florida -- Nos. 1, 2 and 3 respectively -- and ahead of Colorado, data indicated. "We've seen sharp declines in new foreclosure filings after legislation mandating delays to the foreclosure process was signed into law in several states -- most notably in California ... where default filings were 44 percent below October 2007 levels," said RealtyTrac CEO James J. Saccacio. "While the intention behind this legislation -- to prevent more foreclosures -- is admirable, without a more integrated approach that includes significant loan modifications, the net effect may be merely delaying inevitable foreclosures. And in the meantime, the apparent slowing of foreclosure activity understates the severity of the foreclosure problem." He pointed to SB 1137 as the prime reason for a contraction in foreclosure filings in California. The bill, signed into law by Gov. Schwarzenegger in July, requires lenders to attempt to meet with defaulting homeowners to identify possible ways to stave off foreclosure. It mandates that before a lender can proceed with filing a notice of default against a property, he must first try to contact the borrower and determine whether loan modification or other arrangements are possible to prevent foreclosure. According to RealtyTrac, one in 102 households in Riverside County slipped into foreclosure last month, compared to roughly 1 in 114 in October 2007.